This is what you call being late to the party. I was going to write about the Brewers’ new-found patience at the plate. I was gonna note that while they’re taking more pitches outside the zone, they’re also taking more pitches inside the zone. I was going to note that the phrase, “taking pitches” should really be used to describe swinging at a pitch. I mean, if you’re choosing which pitch to hit, and you say, “I’ll take that,” most people would assume you mean, “I’d like to swing at that pitch.” But I couldn’t figure out how to frame it in a way that didn’t come off as me dumping all over the new approach. I was also busy. So I waited. While I waited, Steven Jewell wrote about it. Then, Steve Altstadt wrote about it, as did did Travis, amongst others. It’s fair to say that this is the topic du jour in Brewer circles. It’s also fair to say that I’m wildly late to this party, and even though I’ve brought pizza as a peace offering, Papa Johns was the only place that was open, and everyone’s already asleep, anyway. First, there are two basic aspects of Plate Discipline – Patience and Pitch Selection. These are two very different things, even if they often work hand-in-hand. The ideal hitter does both well. Patience is a strategy that can be employed one game to the next, while Pitch Selection is a skill that takes years of practice to hone, and a natural discerning eye to truly master. So, when Scooter Gennett goes from 12 walks in 391 PA last year to 9 walks in 55 PA, it’s an overnight change in strategy, not an improved eye at the plate. That brings us to the second point. This is an obvious strategy change that the coaches have employed. 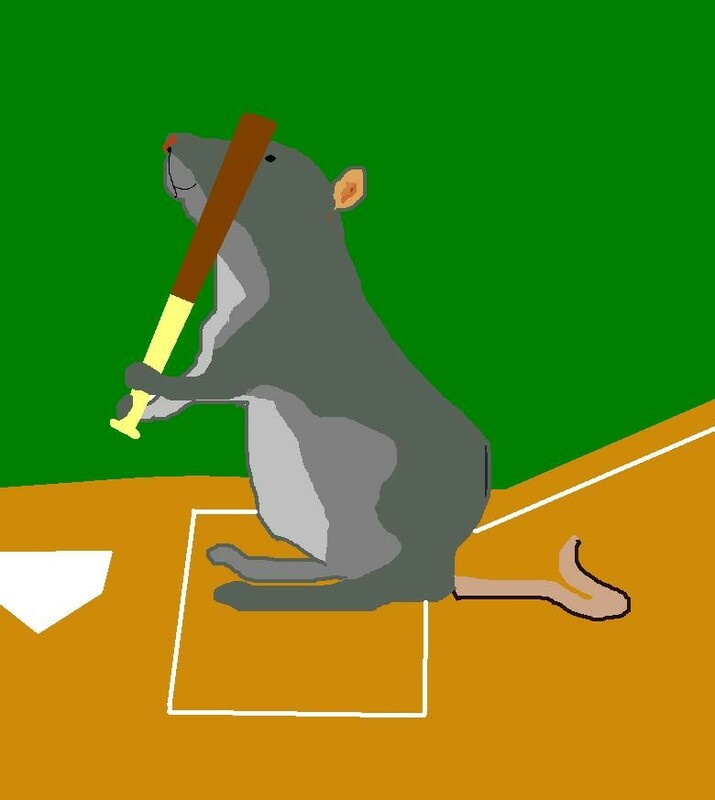 They’ve instructed their hitters, especially Gennett and Santana, to take more pitches; those hitters didn’t just work hard all offseason at taking pitches, like a dog pretending not to beg for the Papa John’s pizza sitting on the table. Gennett and Santana appear to be more patient, but not necessarily more disciplined, hitters this year. This is not a bad thing. However, there are some downsides. Taking more pitches means deeper counts and hitting with two strikes a lot. Two-strike counts are not ideal for hitters that lack pitch selection skills or Ryan Braun-ian hand quickness to foul tough pitches off. Considering how impatient the Brewers, or at least certain Brewers, were last season, the positives seem outweigh the negatives. This is more of a correction than an adjustment. On a macro level, better patience forces higher pitch counts, forcing pitchers out of the game earlier, something the Cardinals have been masterful at for the past decade. On a more micro level, patience forces the pitcher to work closer to the zone when he might prefer otherwise. It keeps him honest and makes him think twice about bouncing his slider in the dirt. It also gives your pitcher more rest between innings, something that could be useful, especially considering the current state of the Brewers’ rotation. 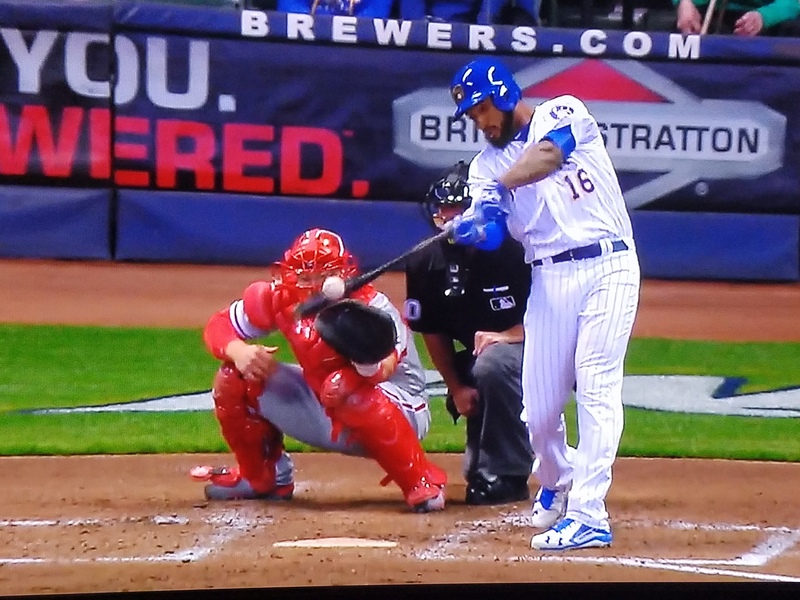 The question becomes this: As pitchers adjust and place more pitches in the zone, will the Brewers bats adjust, or will they watch hittable pitches fly by, and be forced to swing at an out-pitch with two strikes. It’ll be interesting to watch, but for now, let’s just be happy that Scooter and Domingo look like reborn hitters. Enjoy your crappy, cold pizza, jerks.